As Chief Financial Officer, Paula Roy manages all financial aspects of Applied Marketing Science (AMS), including accounting, budgeting, financial planning, taxes, contract negotiations, revenue recognition and payroll. She is also in charge of planning, reporting and filing 401k and ESOP programs for AMS employees. Paula joined the firm in 2001 and is a member of the firm’s executive committee. Before joining AMS, Paula was a marketing director for the project management portfolio at Imark Communications, a business conference event company. Prior to Imark, Paula served as controller for World Wide Unlimited, a tradeshow production company for consumer and association events. She was also the co-founder of the CPA & Business Expo, Wedding Day Expositions and Wedding Day Magazine and held positions at The Boston Women’s Expo and Comdex. 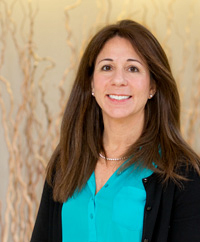 Paula began her career as a financial analyst at the Gillette Company. She has also served on the boards of the International Association for Exposition Management, Bridal Show Producers International, Needham Youth Football & Cheerleading and Woods Ends Condominium Association. As a lifelong resident of Needham, Massachusetts, Paula and her husband have enjoyed designing and managing the rehab of two homes in town that were in need of major TLC. She is also the proud mother of 2 college graduates and an advocate for the rescue of abandoned dogs. She most recently cared for her 5th rescue dog, a 12 year old Golden Retriever named Max who was often found sleeping under her desk. As a fan of the Caribbean beaches, Paula and her family have travelled and explored the islands of the Caribbean over 20 times. In her free time, she enjoys running, Bikram yoga and gardening. Paula holds a B.B.A. in finance from the Isenberg School of Management at University of Massachusetts, Amherst.